We are excited to launch our website and very happy to write our first blog. 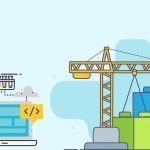 It’s been a while we are working as a WordPress service provider but was not lucky enough to publish a blog for our own company. We helped over 5000 clients since we started working on WordPress in 2012. We are exclusively working on WordPress and never got time to explore other things. Our company name is Esteem and we exclusively work on WordPress and got this name wordpresteem. We can further extend the explanation of our domain name but lets keep it short in this blog post. 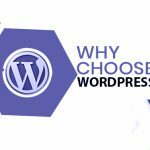 We are the WordPress experts and have delivered over 5000 WordPress based web solutions, custom themes, plugins and websites to clients across the world in the past 6 years. We have got huge experience working with WordPress and know WordPress in and out. We are mainly working as a WordPress service provider and now planning to launch plugins, themes and custom WordPress products. We are also planning to serve community more proactively and think, its time to Give Back to the community. 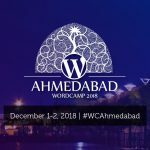 Already lauched couple of free plugins, started contributing to WordPress support forum and our representatives are going to WordCamp Ahmedabad 2018 and hopefully its time to fully commited to WordPress community. We will soon write our next blog with more details.